Will Trump really be Isolationist? Or will he March us to War? The question washed over me as I slumped in my hard plastic chair. I had passed the day walking through a town where most homes lay in ruins and human remains were strewn across a field, a day spent looking over my shoulder for soldiers and melting in the 110-degree heat. My mind was as spent as my body. Under an inky sky ablaze with stars, the type of night you see only in the rural world, I looked toward the man who asked the question and half-shrugged. Everyone including me, I said, thought Donald Trump was going to flame out long ago. And he hadn’t. So what did I know? At that point, I couldn’t bear to talk about it anymore, so the two of us sat speechless for a time. Finally, my companion looked back at me and broke his silence. “It can’t happen, can it?” he asked. I had no answer then — March of this year — sitting in that ruined town in South Sudan. I thought about that March night as the election results rolled in, as the New York Times forecast showed Hillary Clinton’s chances of winning the presidency plummet from about 80% to less than 5%, while Trump’s fortunes skyrocketed by the minute. As Clinton’s future in the Oval Office evaporated, leaving only a whiff of her stale dreams, I saw all the foreign-policy certainties, all the hawkish policies and military interventions, all the would-be bin Laden raids and drone strikes she’d preside over as commander-in-chief similarly vanish into the ether. With her failed candidacy went the no-fly escalation in Syria that she was sure to pursue as president with the vigor she had applied to the disastrous Libyan intervention of 2011 while secretary of state. So, too, went her continued pursuit of the now-nameless war on terror, the attendant “gray-zone” conflicts — marked by small contingents of U.S. troops, drone strikes, and bombing campaigns — and all those munitions she would ship to Saudi Arabia for its war in Yemen. As the life drained from Clinton’s candidacy, I saw her rabid pursuit of a new Cold War start to wither and Russo-phobic comparisons of Putin’s rickety Russian petro-state to Stalin’s Soviet Union begin to die. I saw the end, too, of her Iron Curtain-clouded vision of NATO, of her blind faith in an alliance more in line with 1957 than 2017. As Clinton’s political fortunes collapsed, so did her Israel-Palestine policy — rooted in the fiction that American and Israeli security interests overlap — and her commitment to what was clearly an unworkable “peace process.” Just as, for domestic considerations, she would blindly support that Middle Eastern nuclear power, so was she likely to follow President Obama’s trillion-dollar path to modernizing America’s nuclear arsenal. All that, along with her sure-to-be-gargantuan military budget requests, were scattered to the winds by her ringing defeat. As I watched CNN, Twitter, and the Times website, what came to mind was that March night in South Sudan, after that exchange about Donald Trump, when the camp went quiet and I dragged my reeking body from my tent to the “shower” — water in a plastic bucket that I had earlier pumped from a borehole. I picked my way across the camp with a flashlight so tiny it barely illuminated one step at a time. It was like driving at night without headlights, a sojourn into the unknown, a journey into an airless, enveloping darkness. All that seemed certain suddenly wasn’t. What would come next was a mystery. That March night, I was trying to avoid falling into an open pit that was to serve as a shelter if shooting started near the camp. As election night proceeded, a potentially more dangerous abyss seemed to be opening in the darkness before me. Clinton’s foreign policy future had been a certainty. Trump’s was another story entirely. He had, for instance, called for a raft of military spending: growing the Army and Marines to a ridiculous size, building a Navy to reach a seemingly arbitrary and budget-busting number of ships, creating a mammoth air armada of fighter jets, pouring money into a missile defense boondoggle, and recruiting a legion of (presumably overweight) hackers to wage cyber war. All of it to be paid for by cutting unnamed waste, ending unspecified “federal programs,” or somehow conjuring up dollars from hither and yon. But was any of it serious? Was any of it true? Would President Trump actually make good on the promises of candidate Trump? Or would he simply bark “Wrong!” when somebody accused him of pledging to field an army of 540,000 active duty soldiers or build a Navy of 350 ships. Such a plan might actually blunt armed adventurism, since it was war-weary military officials who reportedly pushed back against President Obama’s plans to escalate Iraq War 3.0. According to some Pentagon-watchers, a potentially hostile bureaucracy might also put the brakes on even fielding a national security team in a timely fashion. While Wall Street investors seemed convinced that the president elect would be good for defense industry giants like Lockheed Martin and General Dynamics, whose stocks surged in the wake of Trump’s win, it’s unclear whether that indicates a belief in more armed conflicts or simply more bloated military spending. Under President Obama, the U.S. has waged war in or carried out attacks on at least eight nations — Afghanistan, Iran, Iraq, Pakistan, Somalia, Yemen, Libya, and Syria. A Clinton presidency promised more, perhaps markedly more, of the same — an attitude summed up in her infamous comment about the late Libyan autocrat Muammar Gaddafi: “We came, we saw, he died.” Trump advisor Senator Jeff Sessions said, “Trump does not believe in war. He sees war as bad, destructive, death and a wealth destruction.” Of course, Trump himself said he favors committing war crimes like torture and murder. He’s also suggested that he would risk war over the sort of naval provocations — like Iranian ships sailing close to U.S. vessels — that are currently met with nothing graver than warning shots. So there’s good reason to assume Trump will be a Clintonesque hawk or even worse, but some reason to believe — due to his propensity for lies, bluster, and backing down — that he could also turn out to be less bellicose. Given his penchant for running businesses into the ground and for economic proposals expected to rack up trillions of dollars in debt, it’s possible that, in the end, Trump will inadvertently cripple the U.S. military. And given that the government is, in many ways, a national security state bonded with a mass of money and orbited by satellite departments and agencies of far lesser import, Trump could even kneecap the entire government. If so, what could be catastrophic for Americans — a battered, bankrupt United States — might, ironically, bode well for the wider world. In his victory speech, Trump struck a conciliatory note. “I pledge to every citizen of our land that I will be president for all Americans,” he intoned. “Every single American will have the opportunity to realize his or her fullest potential.” This stood at odds with a year and a half of rancid rhetoric that was denounced far and wide as racist, sexist and xenophobic. That said, racism, sexism and xenophobia have long been embraced by American presidents — anti-immigrant presidents, presidents who oppressed, forcibly displaced, imprisoned, or killed their fellow men on the basis of race or ethnicity, presidents who were dismissive when it came to a woman’s right to vote, or even owned women outright. Such behavior is wired into the DNA of the United States. Indeed, these traits form the bedrock of a land born of the twin evils of settler colonialism and slavery. Progress since — rights movements, strides toward equal protections under the law, even the notion of the arc of the moral universe bending toward justice — may not ultimately be linear or even lasting. The high-water mark of the American experiment may well have already been reached. Looking out from this city on a hill, it may soon be possible to glimpse the spot where the wave crested, before it ebbed and headed back out to sea. So much that was fought for with such bravery may be swept away in the dismal tide and drowned in the depths. What was dragged under may struggle to the surface. Castaways clinging to a lifeboat in the tempest may, one day, find themselves aboard a sea-splitting ship — its sails full, its many-hued flags flying, its decks teeming; its crew poised to thunder ashore, securing a new American beachhead. That dark, sultry night in South Sudan, I thought a great deal about rights and oppression, about what happens when the worst impulses of men are stoked and sharpened, about what it means when a government turns on its own people. There, in that ruined town, young girls and women had been kidnapped and gang-raped with regularity; men and boys had been locked in a shipping container to wither and die; homes had been razed; corpses abandoned to snarling, scavenging hyenas; and skeletal remains left unburied. It was a horrorscape, a place of suffering almost beyond imagining, one that puts the problems of America’s “forgotten men and women” and their “economic disenfranchisement,” as well as the “rage many white working-class people feel” into perspective. At the time, I told my questioner just what I thought a Hillary Clinton presidency might mean for America and the world: more saber-rattling, more drone strikes, more military interventions, among other things. Our just-ended election aborted those would-be wars, though Clinton’s legacy can still be seen, among other places, in the rubble of Iraq, the battered remains of Libya, and the faces of South Sudan’s child soldiers. Donald Trump has the opportunity to forge a new path, one that could be marked by bombast instead of bombs. If ever there was a politician with the ability to simply declare victory and go home — regardless of the facts on the ground — it’s him. Why go to war when you can simply say that you did, big league, and you won? The odds, of course, are against this. The United States has been embroiled in foreign military actions, almost continuously, since its birth and in 64 conflicts, large and small, according to the military, in the last century alone. It’s a country that, since 9/11, has been remarkably content to wage winless, endless wars with little debate or popular outcry. It’s a country in which Barack Obama won election, in large measure, due to dissatisfaction with the prior commander-in-chief’s signature war and then, after winning a Nobel Peace Prize and overseeing the withdrawal of troops from Iraq, reengaged in an updated version of that very same war — bequeathing it now to Donald J. Trump. “This Trump. He’s a crazy man!” the African aid worker insisted to me that March night. “He says some things and you wonder: Are you going to be president? 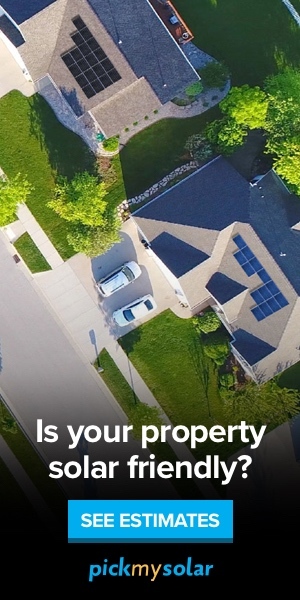 Really?” It turns out the answer is yes. “It can’t happen, can it?” That question still echoes in my mind. I know all the things that now can’t happen, Clinton’s wars among them. The Trump era looms ahead like a dark mystery, cold and hard. We may well be witnessing the rebirth of a bitter nation, the fruit of a land poisoned at its root by evils too fundamental to overcome; a country exceptional for its squandered gifts and forsaken providence, its shattered promises and moral squalor. Indeed, my friend, it just did. Nick Turse is the managing editor of TomDispatch, a fellow at the Nation Institute, and a contributing writer for the Intercept. His book Tomorrow’s Battlefield: U.S. Proxy Wars and Secret Ops in Africa recently received an American Book Award. 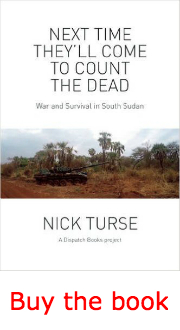 His latest book is Next Time They’ll Come to Count the Dead: War and Survival in South Sudan. His website is NickTurse.com. Reporting for this story was made possible through the generous support of Lannan Foundation.